When your HVAC unit operates for years without being inspected, it could be pushing more than just heated or cool air through your home. It could also spread bad odors, dust, skin cells, and other pollutants right to the living areas of your house. In fact, studies from U.S. Environmental Protection Agency (EPA) suggest the air your breath indoors can be up to five times more polluted than the air outside in a typical American home. What most people don't realize is that ventilation system is a lot more than just your furnace; that is, that gigantic machine behind your house, or the one on your roof. The reality, however, is that there are many more invisible components to your system. 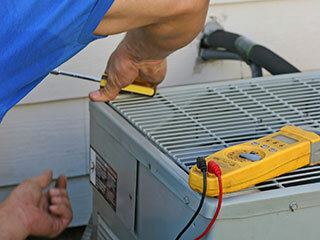 Maintaining other major components, for example the air ducts, is just as important! Think of it all as a huge respiratory system of your entire home. If you address only the problem of the heart (the HVAC unit), you are still running the risk of poor air quality, because the harmful particles still remain in your ductworks (the arteries). This is exactly why we recommend all homeowners get their ductworks inspected and cleaned too when they have as at their door. Cleaning the entire system is crucial to the solution and we won't set out to complete any work half-heartedly. You might get used to a stale, dirty smell that's flowing inside your home since you've been spending so much time indoors, but once you get out for a vacation or a family trip you will feel the difference. It's not before they get out of their house for a longer period of time that our customers call us with air quality concerns. We will perform a cost-effective inspection in order to determine the state of your indoor air quality and will provide you with all the information you need based on our visual inspection, assessment of components, ventilation levels results, temperature, humidity, and airborne mold-spore testing. After going over the report, we can of course move on to making sure every nook and cranny are thoroughly and professionally cleaned!